Press Release: Cosmo Skin and Cosmo Body- BFPC, 7 Years at the Top! MANILA, Philippines. Bargn Farmaceutici Philippines Co. (BFPC) celebrated its seventh-year anniversary with style at the SM Mall of Asia Atrium, in an event rivaling a Hollywood premier in élan, appointments and accents. And who could blame BFPC for not putting anything for granted in its seventh-year bash? Indeed, with a roster of celebrity endorsers from the company’s top networks to its name, BFPC is actually beginning to rival other health, wellness and beauty companies when it comes to industry cachet and glamour. Just to drop names, BFPC has celebrity couple Aubrey Miles and Troy Montero as endorsers for Euphoria Maxx—a top tier energy and libido enhancer; the athletes, Anthony and David Semerad for Cosmo Cee—its brand Vitamin C supplement; the luminous Melissa Ricks for Cosmo Skin—its line of skin-whitening and Reduced L-Glutathione products that includes supplements and cosmetics; and lastly, the wildly-popular, Jodi Sta. 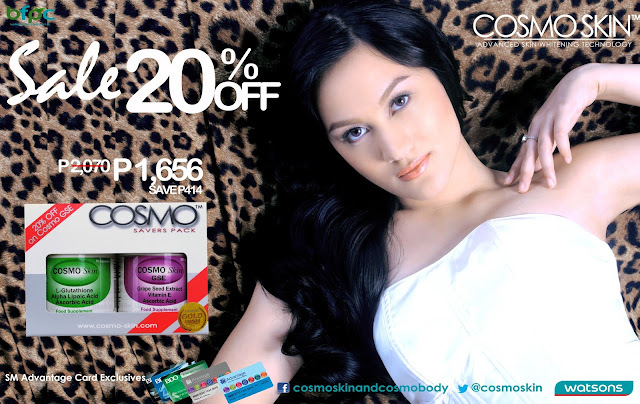 Maria for Cosmo Body—the country’s premier, safe and effective weight loss supplement. All these stars were presented in fashion numbers that further increased the glamour of all BFPC products, and reinforced their status as truly worthy of all the industry accolades that the company has reaped since 2006—the years when its founders, Niño Bautista and John Redentor Gatus Jr. decided to open what at first was an online company selling pharmaceuticals and supplements. “Although we were very confident of our company’s potential, we never really thought that after seven years, BFPC will be where it is now—a serious industry contender that has made its presence felt in the health and wellness segments of the industry,” says Baustista, adding that they focused on industry excellence and servicing clients first and foremost. Seven years hence, the company now boasts of several product lines that cover neutraceuticals, vitamins and now, even cosmetics. For this year alone, BFPC is introducing new items, that will no doubt be as popular to a public hungry for what’s new and most importantly, effective. “We are actually, introducing several new products. They include the Cosmo Skin Kojic Soap, the Cosmo Skin Collagen plus Papaya Extract Soap, and the Cosmo Skin Hand and Body Cream,” says John Gatus, adding that BFPC only felt confident that these products are ready for the market after these went through rigorous product testings and several changes in packaging. “We can never be remiss about quality, as one of the goals of BFPC is to empower the consumer and further improve their well-being,” explains Bautista, adding that judging from the public’s response to BFPC’s seventh-year anniversary celebration, the public seems to have realized that BFPC keeps them in mind when developing products—hence the affection that they seem to have returned. 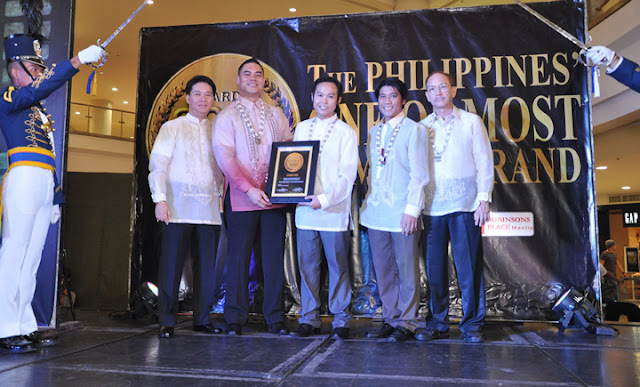 Considering that Bargn Farmaceutici Philippines Co. (BFPC) was founded only in 2006, the company has since reaped numerous awards since its establishment by founders Niño Bautista and John Redentor Gatus Jr. Among the industry awards that it has reaped include Watson’s Health Wellness and Beauty (HWB) Award for 2010 as “Brand of the Year”, it also received the Skincare Brand of the Year Award and just recently the Gold Brand Award for 2013. Just recently, BFPC received another industry accolade when it was awarded the Consumers Choice Award for 2013, for the number one Skincare Brand Cosmo Skin—a sure acknowledgment that BFPC retains the trust and respect of its peers and the public, in coming up with excellent products that remain the standard in the health and wellness industry. @Sheela Marie Castillo- yup, their soap and other products are good and effective according to those using it.